Mimaki, manufacturer of wide-format inkjet printers, is continuing its European showcase. The company is bringing its creativity in the production of printed at Viscom Frankfurt 2014 in Germany, 5 to 7 November 2014, and will organize a series of events Mimaki My Days in Germany in November. Mimaki will highlight how the adoption of new technologies can create significant advantages for businesses, to support activities in existing markets and to address new opportunities. The new printing machine / cutting inkjet CJV300-130 / 160 has been designed for this. Introduced in Europe at Viscom Paris 2014 provides for the first time on this type of machine printing and cutting simultaneously, with speeds of up to 105.9 m² per hour and high resolution. 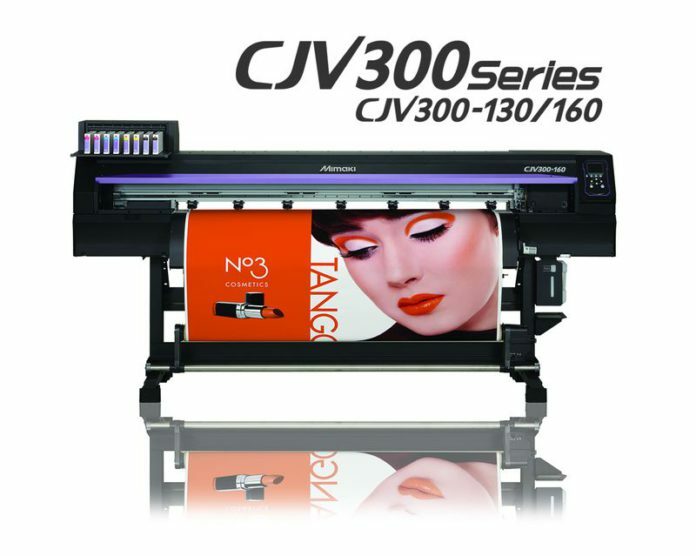 Another new feature that adds to the range of ever-expanding technology, available from February 2015, is the entry level machine to print / cut inkjet Mimaki CJV150, which reaches 56.2 m² per hour. In collaboration with Viscom Frankfurt, Mimaki is launching My Mimaki Days in Germany in November after the dates in October. In November, the events will be held in Berlin on 12 and 13; Hamburg and Burg Seevetal, 13 and 14; Rostock, 18 and 19; and Hagen, 24 and 26. My Mimaki Days is a new concept that offers a custom program to the specific interests of each client, ranging from the replacement of an existing system with new printing techniques to support to help them expand their offerings.